What are the challenges we have to face and overcome in the next 20 years (and beyond) if we want the Economy of Communion to continue and to be faithful to its calling? First, a challenge concerning the EoC companies: these past 20 years we have understood despite many mistakes that the EoC’s main contribution to alleviate extreme poverty, thus building an economy and world of communion, will not occur primarily by redistributing wealth (taking money and resources from the “rich” to give to the “poor”); rather, its contribution will lie in creating new wealth while including in the process people in difficulty and who are disadvantaged (creating new “cakes,” not just re-cutting the “slices” of a given cake differently). The EoC is therefore primarily a proposal that is productive, not redistributive, although the two aspects do not necessarily exclude one another. This is because the EoC redistributes wealth mainly by creating it differently, in a way that is inclusive, sustainable, fraternal and fair, where we look for both employees and management to participate in an authentic manner. The primacy of the creation of wealth over its redistribution is still a challenge to be recognized and taken seriously. For example, in these first 20 years the act of giving by the entrepreneur has often been emphasized, and rightly so (because it is essential). Many have given much, risking without guarantees, giving even when business caution would have suggested accumulating reserves. But sometimes this giving was too simplistically and reductively defined as “giving money” and less often as “giving and creating opportunities, creativity, talents, jobs…” We forgot that the first gift of the entrepreneur is to risk with an entrepreneurial spirit, which is a talent for solving problems, creating new things, innovating, and having the ability to change the world in which we operate. This is a first and important frontier for the years ahead, that is, to re-launch a new season of enthusiasm, creativity, new ideas, new businesses and new projects to bring entrepreneurs, new and old, closer together with more networking, to their rightful place as builders and innovators, functioning not as generous philanthropists but as builders of a new economic model. The first gift is always the gift of life, and the entrepreneur of communion also and above all gives life, innovating and fraternally creating new realities and opportunities with and for others. There is also a second step to take in the life of the EoC. For creativity and enthusiasm to become real in this new season, the EoC vitally needs to relate directly with` the real and tangible faces of poverty. In recent years we have seen that the most powerful and prophetic experiences arise from those entrepreneurs who live where poverty is clearly visible, where they try to find new solutions utilizing the creativity of love and communion. If there is no direct contact with poverty in some context, over the years the key players in EoC companies lose sight of the deep meaning of what they do. It is not enough to raise money in Europe, in the U.S. or in the richest countries and use it in other parts of the world. The metaphor of the seed and the tree can help us grasp this new phase of the EoC we are in. If the seed lives, it remains alone; if it dies, it saves its DNA and can become a tree. 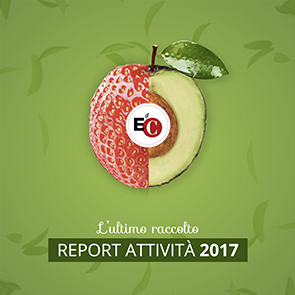 The first phase of the EoC, with nearly 800 companies that collect hundreds of thousands of dollars yearly to support the needy of the Focolare, must evolve and transform into something else, even “die” (in the Gospel sense). This will result in the EOC realizing its true identity: to be a way for all to help “loosen” the crowns of thorns in the world, not just in the Focolare Movement. One of Chiara’s writings, The Great Attraction of Modern Times (see sidebar), is considered the Magna Carta of the EoC. It will become even more so in the years to come. In order to become more itself, the EoC will continually and increasingly need to “lose itself in the crowd, inform itself of the divine, like old bread dipped in wine.” It will need to get lost in the crowd, disappear and practically die in order to inform society and the economy. But there is more in the Magna Carta of the EoC: “become partakers of God's design on humanity, mark the crowd with the embroidery of light and at the same time, share with others the shame, hunger, suffering, and brief joys.” In these words you can glimpse a task of light, a vision, a knowledge that reflects a sense of history, a sign of the times, and a beacon of light for many. The EoC has been, is, and is not yet. This is true even when it is praised, because people see a new perspective that is a gift for everyone. But “in the meantime,” we need to share with the people of our time the suffering, hunger, difficulties and joys — the hunger and joys of everyone, of our people, who yearn and wait, perhaps without knowing it, for an economy of communion.